DENTONICS, INC., develops, manufactures and markets dental materials from its base near Charlotte, North Carolina, USA and was founded in 1988. We are an ISO 13485 accredited company and our products meet the provisions of the European Medical Device Directive 93/42/EEC. Our Master-Dent® products are backed by some of the industry’s leading research and development science and used by clinicians across the globe. We provide clinical solutions to a broad range of disciplines including endodontic, orthodontic and restorative dentistry. Our distribution partners have the security of knowing that the Master-Dent® name assures a consistent level of high quality across all products. Exporting to over 75 countries worldwide, Dentonics focuses on supporting Master-Dent® brand distributors in every continent as well as offering private label and OEM supply to major distributors and manufacturers. From production to quality control and from sales to customer service, our organization is deliberately compact, efficient and free from the layers of bureaucracy that typically hinder progress in large corporations. We are easily accessible to our customers and are able to offer superior service and quick decisions. In 2010, we opened the Dentonics European & Middle East Sales Office in Bristol, UK and to strengthen our worldwide distributor infrastructure. This major step forward differentiates us from many other privately owned dental manufacturers and has enabled us to offer our international distributors full-time support, immediate communication on a more convenient time zone and a presence at dental exhibitions in Europe, Middle East and Asia. In 2014, we increased our support for our Latin America business with our Latin America Sales Office base in San José, Costa Rica. A chemist by degree Randy has spent his entire career in dental manufacturing after graduating from Wheaton College just outside of Chicago, IL in 1982. 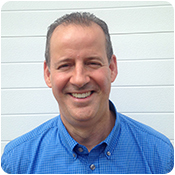 He started Dentonics, Inc. in 1988 in Louisville, CO and moved the company and his family to Charlotte, NC in 1992. Specializing early on in private labeling for other dental manufacturers and dealers in the United States and abroad he learned the products, personnel and industry steadily for over 25 years. Jonathan has been with Dentonics since 2010 and lives in the UK where he heads up our international sales from our European Office. He graduated in International Hotel Management in 1994 training with the Hilton Group in Brussels for a year before joining the hotel chain in the UK. He later took his postgraduate in teaching (French and German) before entering the world of dentistry in 1998. He travels extensively to develop our ever-growing network of international distributors and can be seen at many of the worldwide dental exhibitions. 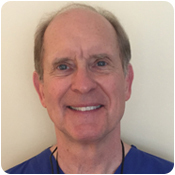 Having graduated from the University of Iowa College of Dentistry, Dr. Munson has been in private practice for over three decades, engaged in preventive, restorative, endodontic, and surgical dentistry. He has a keen interest in using and researching the latest dental materials enhanced by today’s new technologies. Early in his career he was involved in developing and improving dental practices in collaboration with one of the largest US dental dealers, as well as lecturing on practice management. Dr. Munson has been familiar with Dentonics since its inception. He has used Master-Dent® products for many years because of their predictable and consistent results. 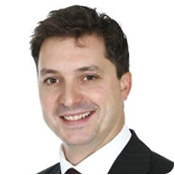 As our Clinical Advisor he provides clinical feedback on Dentonics products that are in development or new to the market. Linda is originally from Pittsburgh, PA and moved to sunny Charlotte, NC to escape the snow. Having graduated from college in the 80's, she has over 30 years of customer service and small business experience, including running her own business. 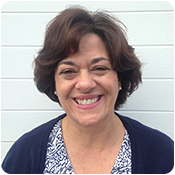 Linda has been with Dentonics since 2013 and is the first point of contact for our domestic customers. She also works closely with our international team and shipping partners to ensure that export shipments have the correct documentation. She enjoys spending time with her children. 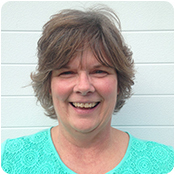 Pam began working in the Production Department of Dentonics in May, 1996. She was promoted to Production Manager in 1999. The varied and challenging position includes the planning, organization and implementation of the full production process from raw material ordering through to finished, packed product. 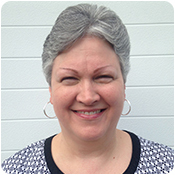 Pam leads our dedicated team of production personnel, balancing inventory levels with the company’s goal to supply our customers with high quality, fresh product and timely service. Sue has been with Dentonics since 2014. She has a BS degree in Biochemistry from Clemson University and 30 years’ experience in global Quality and Regulatory Affairs in the Pharmaceutical, Biotech and Medical Device industries. As Director of Clinical Services with the American Red Cross, she led compliance activities relating to FDA regulations and good manufacturing practice across multiple sites. She has also overseen implementation of ISO 13485 and compliance with European Medical Device Directive 93/42/EEC. Today she is responsible for Dentonics Quality System Assessments, CAPA programs, Design Control/Product Development and Document Control. Her regulatory responsibilities include ISO/CE Marking Certification, Regulatory Submissions, Clinical Trial Program and Medical Device Reporting (MDRs) - to ensure the company prospers in the ever-changing regulatory climate. 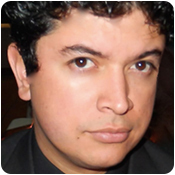 Cali joined Dentonics as our Regional Sales Representative for Latin America in 2014 and is based in his home country of Costa Rica. Prior to joining Dentonics, he was National Director of YFC International and owner of several businesses. He likes to see happy customers not only because we can provide high end products for an affordable price but also because we like to be close to our costumers' needs. Needing to always learn new things in this business really motivates him to keep learning and improving. He is a huge fan of motorcycles and adventure sports and likes teaching and helping others to find their vision and purpose in life.